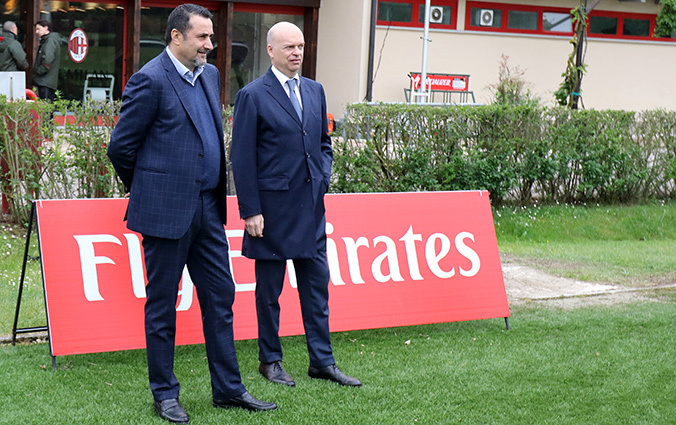 Milan have signed two solid players and renewed our coach, and it’s barely June fourth. The interwebs are abuzz with other potential prospects, and our rival teams are already getting nervous. For a club whose fans have starved for any real transfers for two transfer windows now, one would think that is enough. But some Milan fans have forgotten where they came from and what it means to be a fan. They abuse young players and play football god on social media, it’s completely disgusting. And their current target is Donnarumma. Fans support their players. If you abuse your players, you're not a fan. 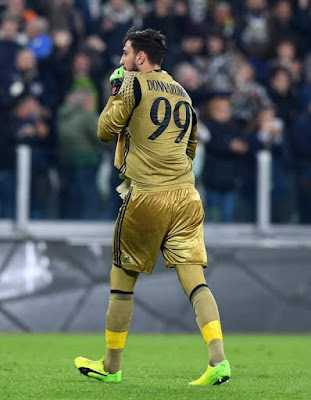 The Donnarumma extension is the most anticipated and also dreaded of any deal in a very long time. Back before the sale of the club closed, and even before his 18th birthday, I wrote about how his agent, Mino Raiola, was the most despicable agent out there. Some focus on the player’s choice of agent, but they fail to acknowledge that Gigio was literally a kid when he chose him. Legally, no one would hold him responsible, so why do fans? Now that the new management are in place, they have said repeatedly that renewing Donnarumma was a priority. But they actually started negotiations with 40 year-old Storari before they met with the Golden Boy. But that lack of sincerity is not on them, no, this is all Gigio’s fault. And some fans are saying that we should let him go, that he’s a Primadonna because our management has not kept their end of the deal. Disgusting. Gigio literally has more experience at his job than these snake oil salesmen do theirs. After publicly threatening to freeze Donnarumma out next season if he didn’t agree to a contract extension, Raiola & Donnarumma finally sat down with Mirabelli on Thursday. And by the way, who threatens to freeze out a player at all, let alone before they’ve met with him? Their naiveté and inexperience are shocking. 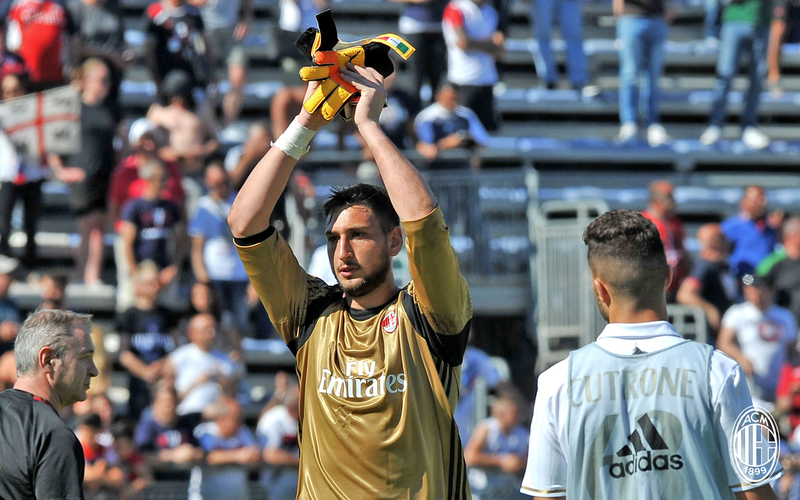 Reports after the meeting were that Donnarumma was offered a contract worth €4.5m per year plus bonuses, which is definitely a generous offer for a goalkeeper or an 18 year old, let alone both. 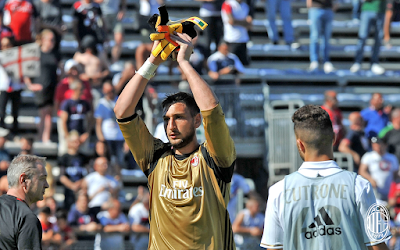 But Donnarumma was heading to Coverciano for National Team duty, and no decision was made. Then reports came out that the reason the offer wasn’t immediately accepted was because Raiola wanted release clauses in the contract relating to the success of the new management as well as their stability. First of all, this is Raiola. We knew this was going to be difficult. Secondly, his demands are far more reasonable than the way the club is behaving. Now reports are that they are asking Gigio to choose between his club and his agent. And not only is he 18, he is actually trying to play football right now. Their emergency in trying to sign him yesterday is because they took 11 months to buy the club. Let the kid play, there is time to work this out. The media are not helping, harassing him everywhere he goes and then making things worse with their “coverage” of the negotiations. I’ve heard gossiping girls with more integrity. But it’s the Milan fans online that disgust me most. Acting as if it’s all up to him, forgetting the agent, club, and negotiation process. Abusing him for not making a decision before the offer was even made, or even on the spot. Claiming it’s all about the poor little rich kid when the reports clearly indicate that stability is important. So many rash, petty, uneducated opinions flying around out there amongst people who claim to love him and to support the club. Embarrassing. The season ended a week ago. The offer was made three days ago. 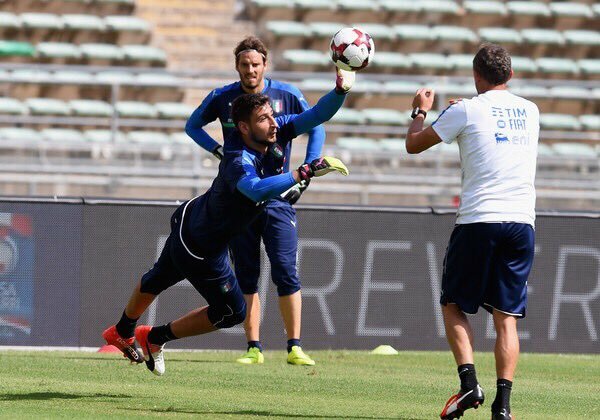 Donnarumma has been on national team duty for two of those days. And he is 18 years old. This is by far the biggest decision he has faced in his short life, and he deserves some time to make his choice. Which is actually ironic, because reports say that he already has. It’s hammering out the details in the contract that is left, which is not even up to him. It’s Milan and Raiola they should be mad at. Everyone is acting poorly in this debacle. The club, his agent, the fans. In fact, the only one who is behaving like an adult is the kid. And he is getting harassed and abused everywhere he goes and all over social media for it. Not unlike De Sciglio, it wouldn’t surprise me if the fans scare him off. What a crime. I mean literally, acting like a douchebag and disparaging and abusing a young player like this should be a crime. The fact that we need to be patient for just a little while longer in order to renew the most talented goalkeeper the club has ever had is being overshadowed by a group of people who have lost their way, lost sight of football, and have lost any kind of moral compass they may have ever possessed.